The potential value of the marijuana industry is enormous. 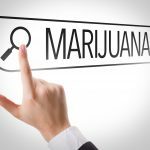 Some analysts estimate that it could be a billion dollar industry once fully legalized. One area of the industry that is already booming is bong sales. Water pipes are already legal to sell anywhere in the United States, and smoking enthusiasts worldwide have been using them to get high for decades. Bongs can be intimidating for new smokers. Their size and perceived complexity can scare newbies away. But they’re popular for a reason: bong smoking produces a number of benefits that are attractive to smokers new and old. If you’re unsure if a marijuana water pipe is right for you, educating yourself on them is a great way to come to a concrete decision. Below, we’ll walk you through the pros and cons of water pipes and everything you need to know about how they work. As you’ve likely seen in a number of movies and television programs, bongs are incredibly popular for avid smokers. This is because they provide a number of benefits that make smoking easier and more pleasant. One of the biggest benefits of a bong is how it affects the quality of marijuana smoke. The heated water in a bong can help to kill off bacteria while simultaneously cooling it to a comfortable temperature. This helps to create smoke that won’t irritate or “scratch” a smoker’s throat in the way that a cigar, cigarette, or blunt might. In addition to the general sense of comfort, the smoother smoke can help reduce the chance of smoking-related illnesses such as bronchitis. A water bong does have a little bit of learning curve to it, but that doesn’t make it a bad option for beginners. The smoother smoke is actually a lot easier on the lungs, and can save newbies smokers a lot of coughing and hacking on their first hits. A bong also requires shallower and shorter breaths to make it work. This can make easing into the smoking experience easier than it would with a dry pipe or other smoking apparatus. A water pipe doesn’t require much to work to keep it clean and running smoothly. All the user needs to do is ensure that they refresh the water in the reservoir after each use. Outside of this replenishment, a good bong owner will want to wash the pieces with smoke every so often to keep it clean and attractive. Outside of these very simple steps, a bong should stay efficient and effective for years to come. All other benefits aside, a bong can be an interesting and visually attractive to your home. Bongs are made in a variety of interesting shapes, colors, and designs, and selecting models that attract your eye can be just as enjoyable as the high you’ll get from using them. Not everything with water bongs is always picture perfect, however. There’s a number of downsides to bong use that any and all should be aware of before picking one up. 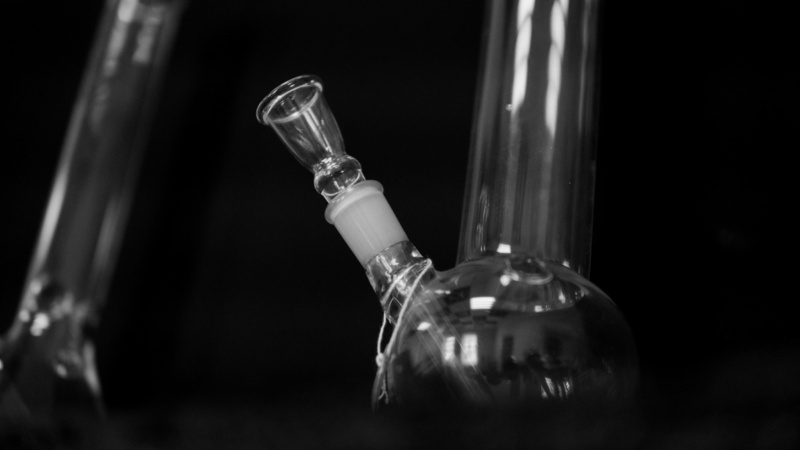 Bongs can be host to a nasty collection of bacteria, germs, and other less than pleasant microorganisms. This is especially true if the owner of said bong isn’t taking the proper steps in cleaning their bong after each use. Plastic and aluminum bong models have proven to be especially susceptible to germ-carrying. It can be easier to get sick or catching someone else’s illness when using a bong. There have even been stories, albeit rare, of people catching tuberculosis from bong-sharing. The same water filtration process that results in smoother hits also makes it a bit harder to reach one’s desired high. As smoke is filtered through cold water, some tetrahydrocannabinol, or THC, is trapped and filtered out of the smoke. The result is less potent hits from water bongs, as THC is the chemical that gets you high. This means the smokers will need to smoke more to reach the high they desire. The most popular and common types of bongs are glass bongs. This is because they’re nicer looking and retain fewer germs than plastic varieties. The downside is that a quick topple off the living room coffee table can spell a quick end to your bong’s life. Many bongs are broken from such falls, drops, and topples. If your bong breaks there’s nothing you can do but buy another one. It might be a cost you don’t want to stomach. Many frequent bong users will tell you stories that will curl your toes about bong sessions ruined by rank bong water. Because of the chemicals and bacteria that bong water filters out, it can become quickly dirty. The smell of this water can be very strong. No exaggeration when we say that bong water is very likely the smelliest water you’ll ever smell. Proper cleaning and replenishing of water can help prevent this, but forgetting even once can leave a nasty stench on your home. Water bongs are big, plain and simple. Unlike joints or pipes, which can be fairly easily snuck out and used in public and on the go, a bong likely won’t be able to be used outside the safety of your living room. This isn’t necessarily a big knock on bongs. After all, your living room is a pretty perfect place to get stoned. But if you can only invest in one type of smoking apparatus, being able to bring it with you anywhere might be an important point. Bong smoking is endlessly popular, and the benefits of using such a smoking apparatus can’t be understated. 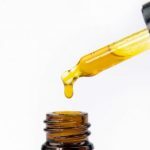 But understanding the pros and cons of a marijuana water pipe can help keep your expectations in line and aid you in making the best purchasing decision. 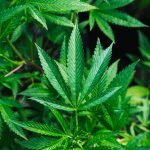 Want more weed info, advice and tips? Check out our blog for more.